Charles Ferguson, the Oscar Winning director of Inside Job discusses how funding for economists influences their research and contributes to economics problems. The pull quote, which I’ll leave for you to find, would be about how many times he found economists writing something that was against the interests of their funding sources. Don Tennant speaks to John Hamm, a venture capitalist, about why there is widespread lack of trust for corporate leaders. Hamm acknowledges the problem, but I think he lets leaders off the hook a little too easily. Vanessa Hall is bootstrapping an International Day of Trust. 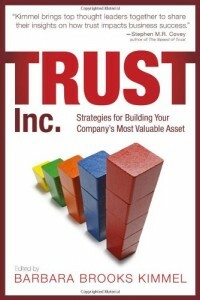 A great idea, and as a bonus, she has compiled a number of excellent links on trust. Head on through, and feast. Ian Brodie has an excellent conversation of our favorite topic: how to actually become a trusted advisor. He identifies why many professionals have a hard time a hard time becoming a trusted advisor and runs through the steps to becoming one. 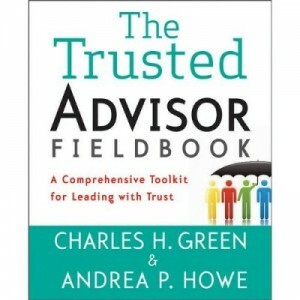 If being a trusted advisor interests you at all, this one is a must read. Chuck Csizmar asks why companies don’t post their grades and salaries ranges. He says he thinks we all know why, but I wonder if you can trust a company that won’t tell you that. What are they hiding? Steven Davidoff writes about why reputation doesn’t matter on Wall Street, or in the CEO office anymore. Drive a company into bankruptcy, lose your clients or shareholders money, and somehow there’s another job for you and the company keeps on chugging. If Reputation doesn’t matter, then does trust matter? And is that why ordinary people don’t trust their lords and masters? Or is it that the only people whose trust matters to those at the top is other people at the top? Kermit Pattison has a fascinating interview with design Professor David Kelley on leadership. It’s all about empathy to David, and, I think, if you read through the lines, really all about trusting the people he leads. The best article of the month. Upcoming Events and Appearances: Trusted Advisor Associates Alert! 4 days to deadline for Trust in Business story contest!